Kobe’s career is in the books. There are no more maybe’s or might be’s, we can now evaluate his career as a complete picture. The question is, how great of a career was it? Many would consider Kobe to be the greatest player of all time or at least the second greatest. 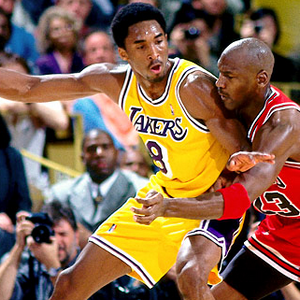 Since most would consider Michael Jordan to be the GOAT, the question really comes down to Was Kobe better than Jordan? Well, there’s only one way to find out. We’re going to compare the two side by side. We’ll take a look at four categories: offense, defense, intangibles, and achievements and accolades.